M. Pfaff is a doctoral candidate in Comparative Literature at the University of Michigan, where he is currently finishing a dissertation that explores “postmodernist classicism” in American experimental writing, tentatively titled “Strange New Canons: Classical Reception at the Margins in 20th Century Poetics.” His literary translations of ancient lyric poetry received the Platsis Prize for Work on the Greek Legacy, and his poems and translations are beginning to appear in publications such as Asymptote, Prick of the Spindle, Counterexample Poetics, and Ezra. 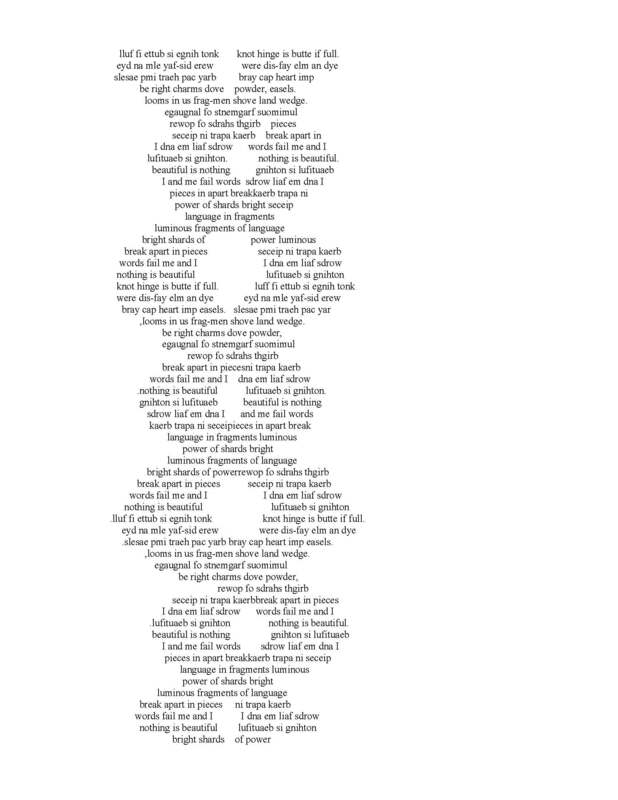 This entry was posted in M. Pfaff, Poetry. Bookmark the permalink.